Home Pure Innovations: Is Your Vacuum Leaving Behind More Than It’s Actually Cleaning? Have you ever wondered what is lurking under the surface of your carpet? Choosing the right vacuum for your Canal Fulton, Ohio home is no easy task. Carpets come in different textures and styles and not every vacuum is going to work best for the carpet in your Stark County, Ohio home. Whether you have children who constantly spill things on your carpet or have trouble with finding the correct vacuum to help with your pet hair removal, the folks at Home Pure Innovations located in Canton, Ohio, have some helpful guidelines for determining the best vacuum cleaner for you and your home! When it comes to choosing the right vacuum for your Stark County home, you must first consider the type of flooring you have. Obviously, hardwood floors aren’t in need of a vacuum that is geared towards deep cleaning. If your Canal Fulton home is mainly carpeted, the thickness and quality of the carpet is a huge factor in which vacuum you should choose. Also, if you are a pet owner, the type of pet you have can greatly impact your choice as you should invest in a vacuum that will help with pet hair removal. Home Pure Innovations Offers the Secret to Slashing Your Heating Bills! Now that winter weather has engulfed the Stark County, Ohio region, many residents fear their upcoming heating bills. Despite your best efforts to cut your energy costs, with low temperatures comes high energy bills. At Home Pure Innovations located in North Canton, Ohio you will discover the answer to all your heating problems: infrared heaters. You may have seen for the ads for EdenPure heaters, but do you know the benefits of using infrared heat in your Massillon, Ohio home? One of the best things about winter in North Canton, Ohio; Massillon, Ohio; and Alliance, Ohio is cuddling up next to the fireplace while it snows outside. One of the safest ways to do that this winter is with an infrared fireplace. A LifeSmart Entertainment Center fireplace will give you the warmth you want without any of the harmful gases. Home Pure Innovations can help heat your home with their infrared fireplaces and LifeSmart Entertainment Center fireplaces. Unlike the common Amish fireplaces, Home Pure Innovations’ infrared fireplaces emit enough heat to fill the room. 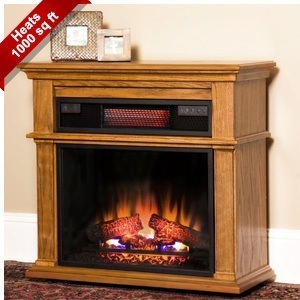 An infrared fireplace will keep your North Canton, Massillon, or Alliance home heated this winter. An infrared fireplace emits clean, ultra efficient and evenly distributed heat up to an eight hundred square feet room. You are able to adjust your heat based on your warmth preference. A feature you cannot do with a log burning fireplace. When your room gets too hot with a log burning fireplace, you either need to shut the fireplace off or find a way to air out your room, making relaxing with a comfortable temperature a hassle. Adjusting your own heat temperature allows you to save money while heating your home. You can personalize heating your home, deciding how much you want to spend. Unlike most Amish fireplaces, an infrared fireplace from Home Pure Innovations can heat an entire room. Many buyers of the Amish fireplace find themselves disappointed in the lack of heat emitted from their new fireplace. If you are in the market for a vacuum this holiday season, then you should definitely check out HomePure Innovations, located in Canton, Ohio, and also servicing the Massillon, Ohio and Green, Ohio areas. 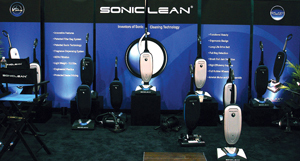 Here you can find emerging brands of affordable vacuum cleaners such as Soniclean and the latest models of the best vacuum brands, as well as vacuum repair services and vacuum & allergy supplies to suit your needs. This local home living store has two convenient locations within the area where you can visit to see and try out many brand-name vacuums. As one of the most competitively priced stores in the Stark County, Ohio area, HomePure Innovations is well worth the trip. With technology advancing every day, it’s hard to know which air purifying device to go with. Home Pure Innovations wants to help you make the right decision for your Alliance, Ohio home by inviting you to come in and see their available air purifiers with HEPA filters and much more! Air purifiers can remove pet odors from the air to help alleviate the smells that bother you, as well as the allergens your pets may be causing. Looking for something a little different for your Canton, Ohio residence? Come to Home Pure Innovations and see what silent air purifiers they may have available for you. If you live in one of the busy cities like Massillon, Ohio, you know that your air isn’t as pure as it could be. Help alleviate allergens and particles that could cause illness by purchasing a great air purifier from Home Pure Innovations.